Are you struggling with CPAP therapy? #1. Your mask is uncomfortable. 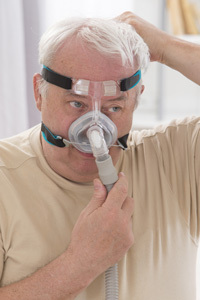 Finding a CPAP mask isn’t as easy as it seems. First, there are so many options and styles to choose from, and if you’re new to CPAP therapy, you may have to go through a long period of trial and error to find the right mask for your needs. Second, fitting your CPAP mask can also be a challenge. If the mask is too tight, it can be uncomfortable, but if it’s too loose, it can lead to leaks and all kinds of other issues. Also, your facial muscles change slightly when you are lying down and relaxed than when you are up and awake, so making your mask fit perfectly while you lie down is not for the faint at heart. #2. Your machine is too noisy. If you are a light sleeper, any amount of noise can be enough to keep you from getting the sleep you need. Since a CPAP machine is just that — a machine — it can be noisy. Although newer CPAP machines are much quieter than the older models, there’s no such thing as a completely silent CPAP machine, and that is a real concern for many CPAP users. #3. You can’t get used to sleeping with the mask on. Most people don’t feel comfortable sleeping with a mask on their face, and although there are things you can do to get more accustomed to sleeping with a mask on, some people are never fully comfortable with it. But here’s the thing, wearing the mask is an essential part of getting CPAP therapy, and if you won’t wear it, then CPAP therapy won’t work for you — it’s as simple as that. #4. You have trouble with the forced air. CPAP therapy works by forcing air into your nose or mouth, but just as it’s not always easy to get used to wearing the CPAP mask, it’s also not easy to get used to the forced air. There are some steps you can take to help you get used to the forced air, including using the “ramp” feature on your CPAP machine, but no matter what they do, some people still have trouble with the forced air from their CPAP machine. 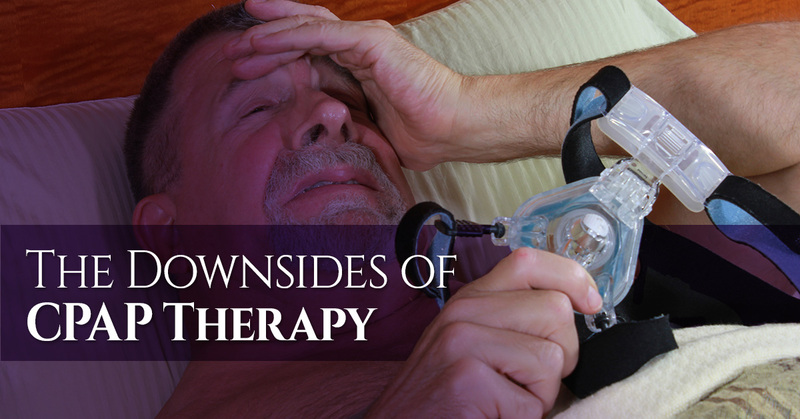 CPAP therapy is not your only option. When it comes to sleep apnea, CPAP therapy may be the most common option, but that doesn’t mean it’s the only option. At James Otten Dentistry, we work with local certified sleep physicians to verify the best therapy for you. Contact us today to learn more about our treatment options for sleep apnea.